ArborCAD is purpose built computer aided design (CAD) software especially for the needs of Arborists. Whether you are conducting and documenting a site survey, producing a Tree Protection Report or just working with existing CAD drawings, ArborCAD has the tools for you. ArborCAD is simple to use and easy to learn. An online training course is available to get you up and running fast – You’ll be drawing in less than an hour and you don’t need to be a computer nerd to use it. ArborCAD allows you to automatically produce professional drawings to local and international standards anywhere in the world. Import or enter field data you have collected on site and let ArborCAD accurately insert every tree in the right place on your drawing. Whilst ArborCAD has many fully automated tasks it also provides total manual control. You can adjust everything as you want it. This means that unusual sites or difficult areas of access and even neighbouring properties are able to be accommodated with ease. It also means you can easily create your own drawing style to make your drawings unique. ArborCAD doesn’t just help the Arborists look and perform more professionally; it also assists those that need to work with you, from the surveyor to the planning department to the builder. For example, with ArborCAD you can even calculate and draw the position of every piece of Tree Protection Zone fencing and provide your builder with an accurate estimate of how many sections he will need to order! Now that’s nice, isn’t it? 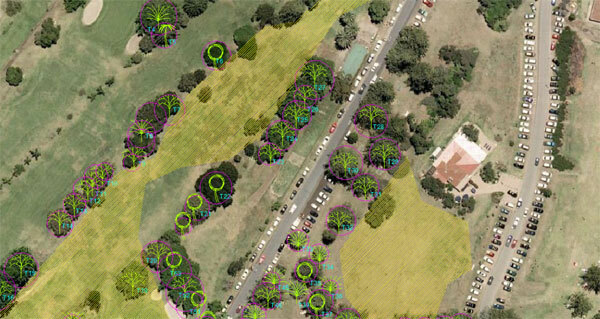 ArborCAD has been developed in consultation with one of Australia’s leading Arboriculture experts to generate the most professional Arborists drawings of any design software in the world.